North Korean leader Kim Jong-un has invited US President Donald Trump for a meeting. 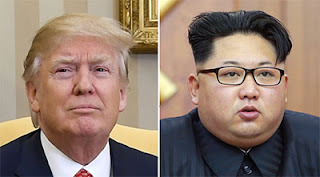 Trump, who had expressed an openness for a dialogue, has accepted the invitation and is scheduled to meet Jong-un for the first time ever by May this year. North Korea recently offered to denuclearize itself for a guarantee of security against military threats from the US.